Nari Shakti programme on Bharaat Today Channel on the occasion of Sri Ramanavami Special March 2018. 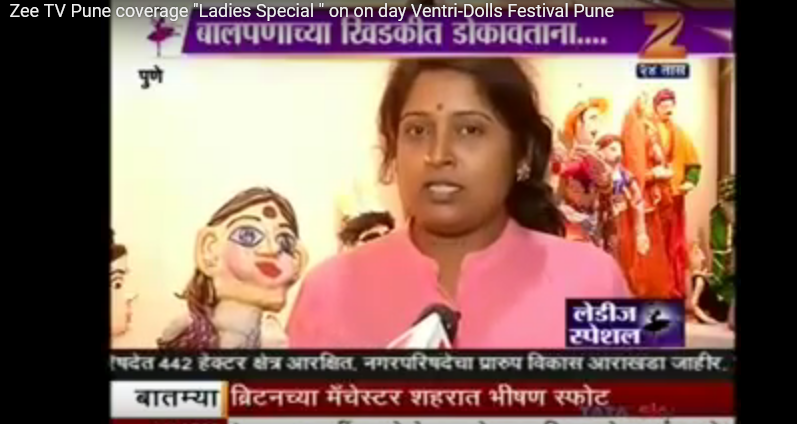 Zee TV Pune special programme on "Ladies Special"
Zee TV Pune special programme on "Ladies Special" interview on May 9, 2017 during One day Ventri-Dolls festival held at Pune. Sphoorthi Nirbhaya Puppet play on March 8, 2015 at Lamakaan, Banjara Hills, Hyderabad. Sphoorthi Theatre for Educational Puppetry, Art & Craft-STEPARC conducted Shadow Puppetry workshop for Sisu Mandir Teacher from May 20-22, 2013 at Sri Saraswati Peetam,Sarada Dhamam, Bandlaguda Jagir Hyderabad. Selected 10-12 Teachers participated in the Shadow Puppetry training. Soyam Bheem Rao and HK.Punesh lead two teams. The teams came out with two stories -'The Emperor and the Seed' and 'Half the Price'. The team worked out Story, dialogue writing, scene wise sequences, Puppet making, voice rendition, couplets composition and puppet manipulation with music. Red Flower - Shadow Puppet and Rod Puppet Play at Lamakaan, Road No 1, Banjara Hills on May 25, 2013. Red Flower play written by Safdar Hasmi for Children. 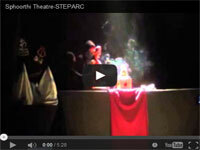 Here, the play highlights about the importance of friendship, dependency and nature. As part of Puppetry Art Promotion- Sphoorthi Theatre for Educational Puppetry, Art & Craft-STEPARC organised Shadow Puppet and Rod Puppet Play at Lamakaan, Road No 1, Banjara Hills on May 25, 2013. Vicky Hart's travelogue-style documentary film "Magic in our Hands" will demonstrate the social value of puppetry by exploring the lives of inspired women puppeteers in one of the fastest growing economies in the world: India. Nokia C2I Puppetry team presentation on Shadow Puppetry on January 20, 2013 at hotel MOKSH, Lower Tank Bund , Ministers Road, Hyderabad. 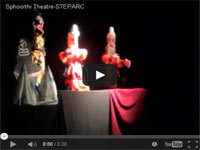 Puppet Film "Kothavalani NAMMARADU" Don't Trust Strangers June 11, 2012. 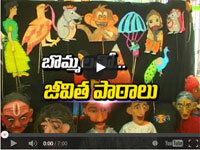 Puppet Play Presentation at Industrial Exhibition Society Nizamabad - May 25, 2012. Puppet Play presentation at Industrial Exhibition Society, Nizamabad, May 25, 2012. The presentation was made by D.I.E.T College Urdu & Telugu Medium Students and Little Angels and Masters who under went Training on Shadow Puppetry. Adaptation of Leo Tolstoy English Story " The Spark Neglected Burns the House" in Telugu in Telangana Slang called "Adarshpuram" and in Urdu on Female child Foeticide and Infanticide called as Bhrunhatya called "Muje bhi Jene Do". These two were presented in Rod Puppetry and Adaptation of Robert Browning Poem "The Pied Piper of Hamlin" in Telugu called "Anandapuram" in Shadow Puppetry. Nizamabad - May 24, 2012. Sphoorthi Theatre for Educational puppetry, Art & Craft-STEPARC presented Puppet Play for Maheshwari Mahila Mandali, Nizamabad On May 24, 2012. 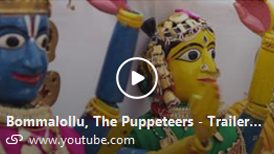 This Puppet Presentation is in Hindi. D.I.E.T College Urdu Medium Students, Nizamabad made the presentation on "Bhrunhatya"-"Girl child feoticide and Infanticide". A shadow play called "Anandpur" adaption of Pied Piper of Hamlin By Robert Browning into Hindi by the the kids of Maheshwari Mahila Mandali, Nizamabad. Bangalore - June3 & 4, 2009. Sphoorthi Theatre for Educational Puppetry, and Art & Craft-STEPARC presented Puppet play for Karnataka Urdu Academy, on the event of Urdu Mela held on June3 & 4, 2009 at Rangamadira, JC Road, Bangalore Sphorthi theatre is indebted to support extend by Sri Ahmed Ali saab Gallery Assistant Salar Jung Museum,and Sri Abbas Assistant Salar Jung Museum, Hyderabad for their asistantance in Script writing, narration, and dialogue delivery. Sphoorthi Theatre is also indebted to other members of Salar Jung Museaum who took part in puppet production. Speciality of this video is about "Hyderabadi Dawatnama" in Hyderabadi Urdu Slang. Play was in Urdu Language highlighting about Urdu language, its significance, usage of language, culture, and like any other regional language use of Urdu language is also sidelined and slowly declining from the mainstream due to dominance of English language. 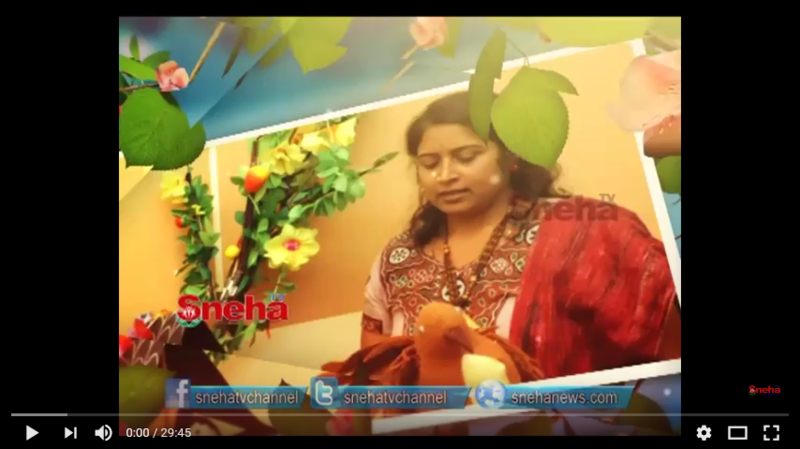 Concept, Story, Script writing, Puppet Designing, direction, narration, puppet manipulation by Sphoorthi Theatre.